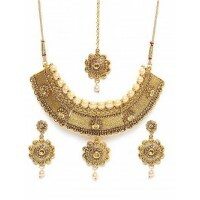 Ethnic styling at its best! 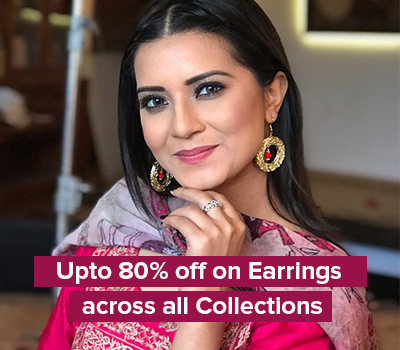 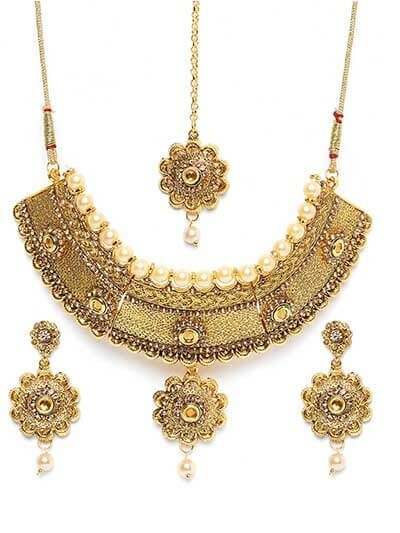 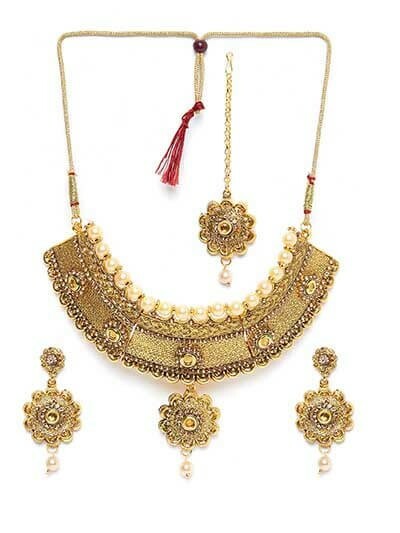 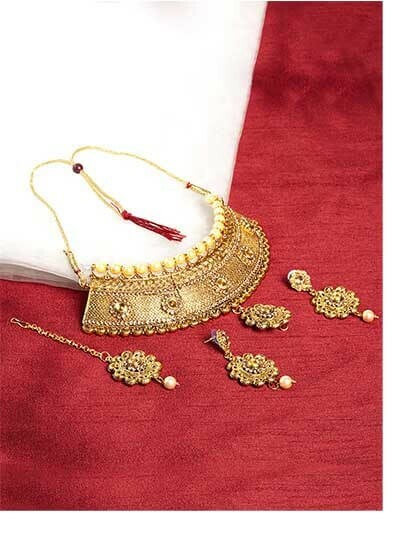 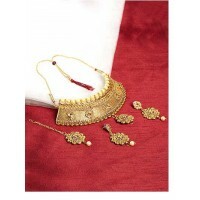 Steal a regal look this beautifully crafted traditional golden mesh stone studded traditional golden jewellery set for wedding. 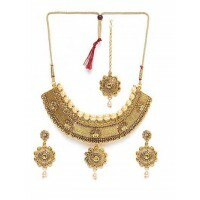 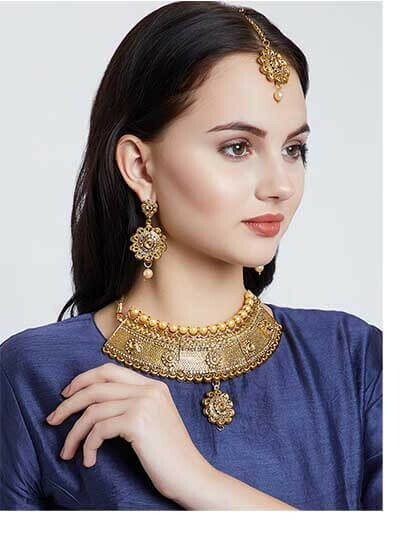 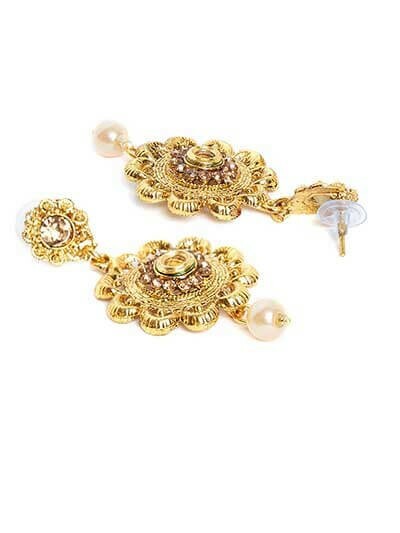 Perfect to make your wedding soirees absolutely stunning, this alluring piece of jewellery is a must have.